The Epsom Derby horses race past. The main stand can be seen behind. The footage is shot from an elevated position in the crowd. People run out onto the track when the horses and jockeys have passed, filling the area. Brit Acres began working for Robert Paul in 1894, who had begun to reproduce Edison's Kinetoscope in Britain. Together they built a cine camera and produced films until 1895 for Paul's peep show kinetoscopes. The Derby was Paul and Acres last film together. Acres turned to the production of his Kineoptikon projector before developing celluloid film through his Northern Photographic Works. Date: 1996-1998 John Barnes’s archaeological study of early cinema charts its development between 1894 and 1901. Barnes founded the Barnes Museum of Cinematography with his brother William in the 1960s. The collection provided primary material for Barnes’s study of early cinema. Date: 1981 Investigation of the influence of magic on early film. Location: Hove Museum and Art Gallery Twins John and William Barnes founded the Barnes Museum of Cinematography in the 1960s. After the closure, the early part of the collection moved to Hove. The collection includes cameras, projectors and material relating to the Brighton School of film pioneers. 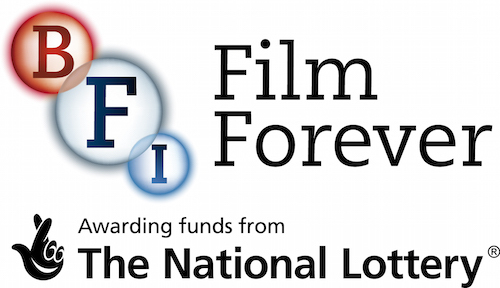 Location: BFI National Archive, British Film Institute, London Holds films made by Robert Paul. BFI National Archive copies kept on file SASE 950000. Biographical overview and further reading. Biographical overview and film synopses.